Political World map. 1000 pieces. 70 x 50 cms. Manufactured by Ravensburger. 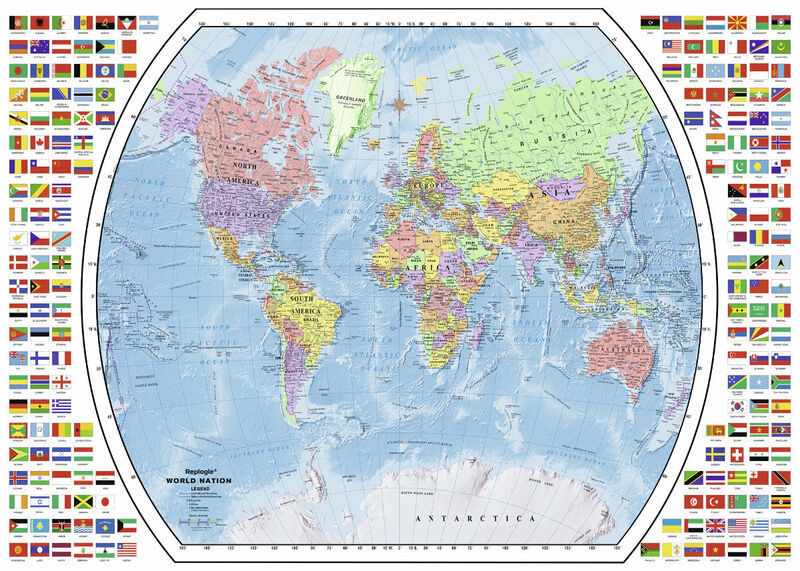 Learn about the countries and flags of the world in this puzzle, then it can be proudly glued and displayed on your wall. 1000 pieces. 70 x 50 cms.